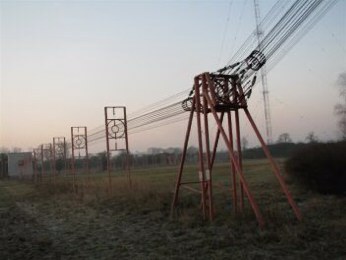 The masts are without antenna tuning hut. 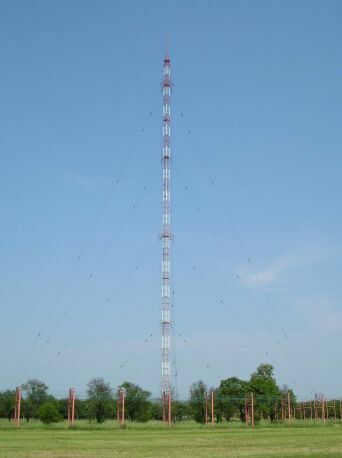 Central antenna tuning hut with open coaxial feeder lines to the transmitter and the two antenna masts. 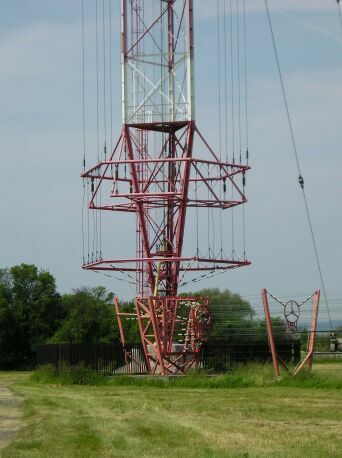 Mast with base insulator and cage. 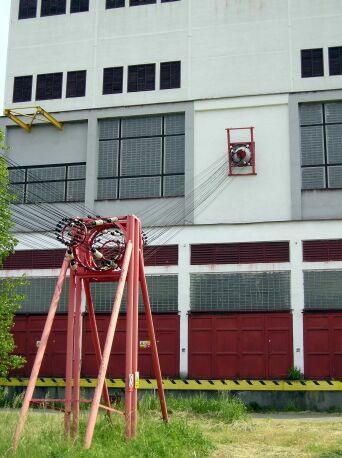 The mast is fed. 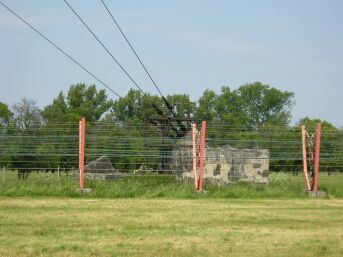 The cage is connected to the second coaxial line. 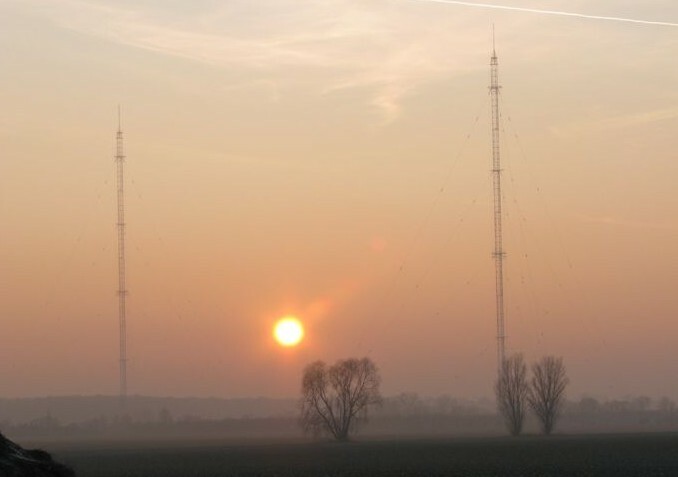 There is no antenna tuning hut at the base of the mast. 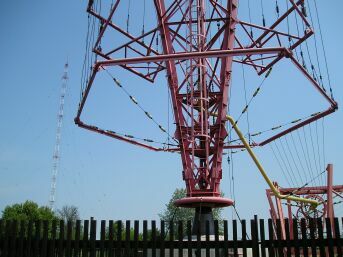 The second mast can be seen in the back. 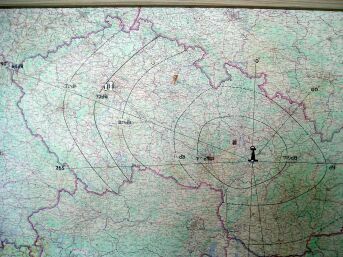 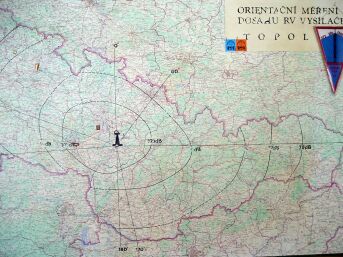 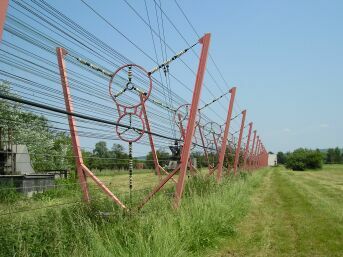 of the central antenna tuning hut. 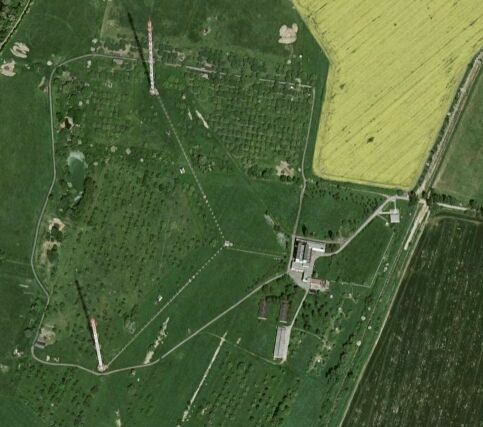 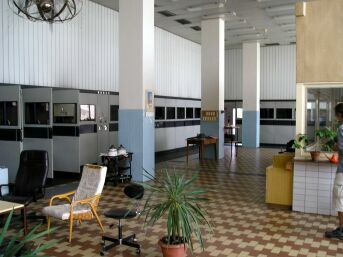 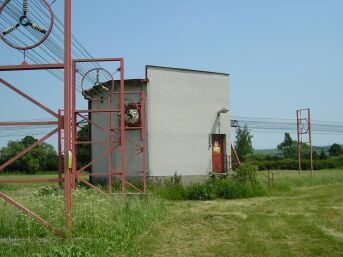 Feeder line between transmitter building and the central tuning hut. 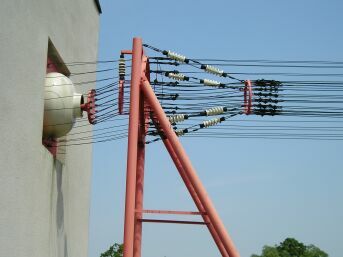 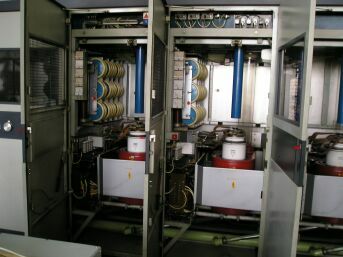 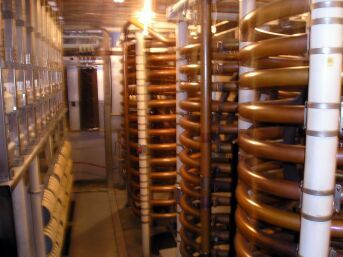 The support of the feeder close to the transmitter building (see above and on the right side) is especially designed for the horizontal forces to keep the wall of the building and the feed through insulator nearly free of forces.